*Specific restrictions apply. In all states authorizing this act, specific conditions may apply. Notaries are frequently asked to make a certified or attested copy of an original document. Not all states, however, authorize notaries to perform this act. Not all documents are eligible for copy certification/attestation by a notary. The following discussion will help you navigate these sometimes murky waters. For clarity, ASN avoids use of the term "certified" copy except in states whose statutes actually refer to the act in this manner. We more frequently use variations of the term “attest”; i.e. "copy attestation," or "attested copy." Please note that when a notary makes an attested copy of a document, he/she is not guaranteeing the authenticity of the original document, its contents, or its effects. The notary is simply stating that the document photocopy is a "true" and complete copy of the original document that was presented. 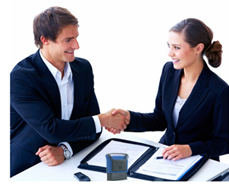 The notary’s certification is made in a notarial certificate worded expressly for this purpose. ASN recommends that you positively identify the person presenting a document for copy attestation as a best practice. While your state statutes or rules may be silent on this matter, the notarial certificate for an attested photocopy generally states the document custodian’s name. You will also want to record the name of the document custodian in your recordbook entry. It is therefore wise to positively identify this person. You must be presented with the original document for comparison purposes or to make/witness the photocopy. A certified copy issued by the official document custodian (for example, a certified copy of a marriage record, issued by a county clerk) is not an original document - it is a copy. If a person brings in a certified copy of a birth certificate, for example, and tells you that it is the original birth certificate, it is not. No state or country would give up the original copy of a vital record. Make or witness the making of a certified/attested photocopy only when you are presented with a true original document. If asked to certify/attest a photocopy that has already been made, you must also be presented with the original document for comparison purposes, and your state law must allow the comparison method for this notarial act (see NOTE above). The document must not be a public record, or a vital record. A public record is any document that is recorded in a county clerk's office or held by some government agency and is open to the public for inspection. Vital records are those that document citizens’ “life events” within a particular state or country, such as birth certificates, death certificates, and marriage and divorce records. Every jurisdiction, every state and country in the world, keeps these types of records. If you are asked to make a copy of a vital record, you must decline. Your customer should request a certified copy from the official custodian of that record, such as the registrar of vital records or the county clerk/recorder. If a customer asks you to certify/attest a photocopy of a document that is not yet recorded but that will be recorded, you should decline the request. The document should first be recorded and the person may then request a certified copy from the office that holds the original recorded document. State statutes vary on how notaries may perform copy attestations, so you must be familiar with your own state’s particular requirements. Some states require their notaries to either make or witness the making of any photocopy of an original document, in order to properly attest that the copy is “true.” Some states allow the notary to compare a previously-made photocopy with the original document. Others recommend one or the other procedure when their statutes do not specify a desired procedure. The point is, you must be able to attest truthfully that the document is an exact, complete, and unaltered photocopy of the original. Your direct involvement in the photocopying or comparison process is a must. You cannot take someone else’s word that a photocopy is “true,” no matter how trustworthy that person may be. As with all notarial acts involving a document, you must complete a notarial certificate for copy attestation. Very few if any documents presented for copy attestation will come with the proper notarial certificate—you will need to create one. You cannot just write "true copy" on the photocopy and put your seal on it. Following are certificate samples reflecting two different procedures for this notarial act. On this ___ day of _________, 20___, I certify that the preceding or attached document is a true, exact, complete, and unaltered photocopy made by me from the original document (Description of Document), presented to me by the document’s custodian, (Document Custodian’s Name) and that, to the best of my knowledge, the photocopied document is neither a public record nor a publicly recorded document, certified copies of which are available from an official source other than a notary public. I, (Notary’s Name), a notary public, do certify that on this ___ day of _____________, 20___, I carefully compared the attached copy of (Description of Document) with the original. It is a complete and true copy of the original document. Make sure you describe the document with enough detail that the notarial certificate could not be attached to a photocopy of another document. If it's a multi-page document, you should also state the number of pages. You may print the notarial certificate for certified/attested photocopy on the photocopy itself, or attach it to the document as an additional sheet. You must never merely paper-clip a “loose” notarial certificate to a document. Staple it securely to the document. Be sure to carefully record your attested copy notarial acts in your recordbook. (In some states use of a recordbook is required; everywhere else it is a recommended best practice.) Note the date/time that you performed the act, indicate that it was a copy attestation, describe the document, note the number of pages and document date if applicable, etc. Ask the person presenting the document to sign your recordbook. Note this person’s name in your recordbook entry, and how you positively identified him/her. Make notes about any unusual circumstances. Following is a list of the documents most frequently presented to notaries for an attested copy. As a general rule, these forms of identification should be valid/unexpired unless your state provides specific guidelines for handling expired documents. Always remember three points: (a) you must always be aware of whether your state authorizes you to perform the notarial act of copy certification/attestation; (b) you must be familiar with how your state statutes, rules or procedures may specifically address which documents you may process for copy attestation; and (c) if you have any doubt, call ASN for guidance. Notaries may make attested copies of most any personal document if they are presented with the original document, and if the original document is not a public or vital record. In some states, copy attestation is limited to the notary's recordbook or journal entries. The notary will produce an attested copy of a specific recordbook entry, upon request and subject to his/her state statutory guidelines. Most state agencies that issue driver’s licenses and state ID cards will not provide certified copies of them. The state will only make a duplicate copy if the original is lost. That said, some state's notary officials or issuing agencies (most commonly, the Department of Motor Vehicles) may specifically prohibit notaries from making attested photocopies of these documents. (For example, Michigan prohibits this practice; in fact, it is a crime to be in possession of a driver's license photocopy. Texas and Wisconsin also prohibit copy attestation of a driver's licenses.) If presented with a driver's license or state identification card for copy attestation, first determine whether the license or card is valid (unexpired), and then proceed only if you know that the issuing jurisdiction does not prohibit photocopying of these documents. Notaries must carefully evaluate requests to make attested copies of military ID cards. If the purpose is official (i.e., the copy is being requested in order to complete a form or process of the U.S. Armed Forces), then it is acceptable to make the attested copy. Any other purpose must be weighed on a case-by-case basis. The Internal Revenue Service accepts “notarized” (attested) copies of these cards for purposes of submitting a Form W-7 (Application for IRS Individual Taxpayer Identification Number). The cards must be valid (unexpired). See the following discussion on passports for related information. Similarly, notaries may make an attested copy of a valid, U.S. Passport card. This card facilitates land and sea travel between the U.S. and Canada, Mexico, Bermuda and most Caribbean locations. Notaries may also make an attested copy of a valid (unexpired) foreign passport or a valid visa (issued by the U.S. Department of State) for official purposes, the most common being a non-resident alien’s application to the Internal Revenue Service (IRS) for a federal Individual Taxpayer Identification Number (ITIN). Non-resident aliens who have made money in the United States must pay income tax on that money before they can leave the country. To begin this process the IRS requires submission of a Form W-7, along with evidence of the applicant’s identity. The one document that the IRS will accept to prove both an applicant’s identity and foreign status is an unexpired foreign passport. Visas will be accepted in combination with other identification. For this reason we say that notaries who are allowed by their state to make certified or attested photocopies may make copies of valid foreign passports or valid visas for the IRS. Any other requests for copies of these documents should be considered on an individual basis. Do not make a color copy of any passport or visa. ASN recommends that notaries decline to make an attested copy of a Social Security card. The Social Security Administration (SSA) has a detailed procedure for current card holders to obtain a duplicate or replacement Social Security Card, free of charge. Since the actual credential-issuing agency will provide a duplicate or replacement, notaries should direct requests for a “copy” of a Social Security Card to the SSA. When a person who was not born in the United States becomes a citizen through naturalization, the U.S. Citizenship and Immigration Services (USCIS) issues a Certificate of Naturalization. This Certificate displays a statement prohibiting photocopying of the document. USCIS, however, advises that while the law prohibits duplication of naturalization certificates, that prohibition does not apply to making a photocopy for submission to the USCIS in conjunction with an application or petition. This same policy applies to Certificates of U.S. Citizenship, issued by the USCIS to individuals seeking official proof of their citizenship based on citizen parentage (a different purpose from the Certificate of Naturalization’s). Very carefully evaluate requests to photocopy a Certificate of Naturalization, Certificate of U.S. Citizenship or other document concerning citizenship, and refer the requester to the USCIS for specific guidance. More information is available at the USCIS web site at http://www.uscis.gov. The USCIS also issues Permanent Resident Cards and other immigration cards to individuals who are considered permanent residents of the United States without granting citizenship to those persons. Many immigration attorneys caution notaries against making copies of USCIS cards and suggest that the person contact USCIS for any certifications needed about their status in the U.S. USCIS, however, advises that it will accept copies of these cards in conjunction with an application or petition made to USCIS. Carefully evaluate any requests for an attested copy of a Permanent Resident Card. Once a tax return has been filed with the Internal Revenue Service, you cannot make an attested copy, because the original was sent to IRS. The customer just has a copy. Besides, IRS provides certified copies of all tax returns. Medical records held in a physician's office or a hospital are not public records; therefore, you are allowed to make attested copies from the original documents. It may be best for the party to request copies from the doctor or the hospital because of privacy issues. A notary-employee in the office could make the copies. You may not make "certified" or attested copies of school records (transcripts). Only the school registrar has the authority to provide certified copies of student records. Without the registrar's official seal, the record would be meaningless. In addition to the registrar's seal on the copy, the records are usually sealed in a tamper-proof envelope with an official seal over the flap for added security. You may make a copy of a diploma if you have the original, make the copy, and attest to the trueness of that copy. The school does not keep the originals or copies of diplomas. However, an attested copy of a diploma does not guarantee or prove that the student ever attended that school. There is a great potential for fraud here with the use of computers and laser printers. That's why most parties now request official school records from the registrar. What if your authorized notarial duties do not include making certified or attested copies of documents? As an alternative, the document custodian may wish to swear/affirm that a copy he made of an original document is a true copy. The document custodian would make a written affidavit (statement) that he has created a true photocopy from the original document, and the notary would take the custodian’s oath/affirmation about the truth of the affidavit and complete the jurat. This procedure places the responsibility for truthfulness about the photocopied document on the client, not the notary, but it should be handled responsibly. When the document in question is recorded or held by an official custodian, the attestation/certification of copy by document custodian procedure should not be used; instead, an official certified copy should be obtained from the public official who holds the original document. It’s important to realize that you will sign and seal the jurat portion of the document custodian’s affidavit, not the photocopied document. You would only affix your signature and seal to the photocopied document if the affidavit were written or printed on it. I, (Name of the Photocopy Custodian), swear/affirm that the foregoing (or attached) is a true and complete copy of (Title of/Description of Original Document), made by me, and the photocopied document is not a vital record, a public record, or a publicly recordable document, certified copies of which are available from an official source other than a notary public. Sworn to (or affirmed) and subscribed before me this ____ day of _________, 20___, by (Name of Affiant/Photocopy Custodian). Finally, take great care to avoid leading your client to believe that a document custodian’s certification of copy affidavit will automatically be accepted by the relying party. You do not know this, nor can you counsel or speculate whether a relying party will or should accept this process. If your state does not authorize you to attest/certify photocopies, the most you can do is ask the document custodian if he wishes to make an affidavit about the trueness of the photocopy, show him the affidavit language if you have it available, and let him choose what to do. If the document custodian has any questions about the advisability or effects of the affidavit, he will have to consult an attorney or another party relying on the transaction.